I swear, Kanye West is pretty much killing us die-hard fans (or, at this point, “me”) since he’s gotten back on Twitter, ostensibly in a publicity quest leading up to releasing between two and five albums in the next few weeks. 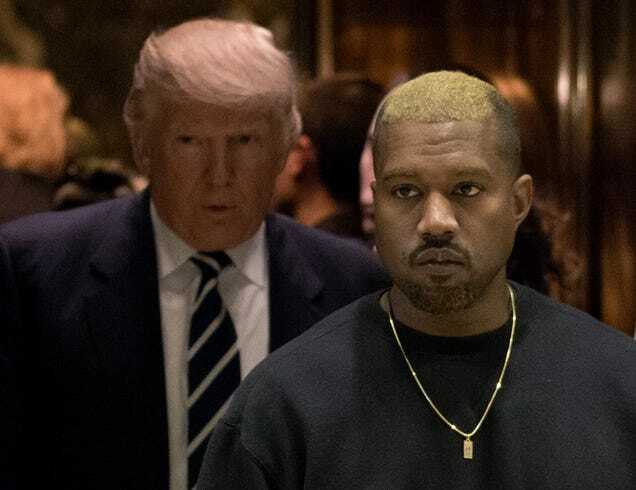 Since he’s opened the Pandora’s box of his mouth after having an alleged psychotic break in December, Kanye has been in the lab doing what he does best: making boundary-breaking music. But then, being the attention whore and contrarian genius (don’t @ me) that he is, Kanye had to do something my little cousin Brandi summed up best: “He dragged it.” You took it toooooooo far, bro. Apparently, Candace (not the one from Kansas) is a bit of a deluded black. But the two met yesterday at architectural school Sci-Arc, and though West didn’t tweet about the meeting, social media got ahold of photos of them. Trump actually didn’t call Kanye his “pal”—just the first two people he mentioned—but it is too close for my taste. It’s going to be “interesting” indeed to see how this love affair goes.